Author: Szpilman, Wladyslaw Set In . 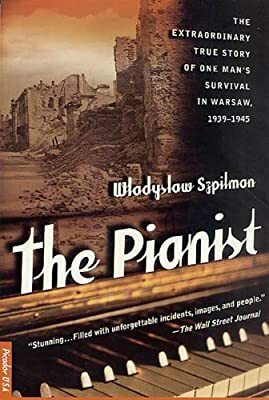 . .
Named one of the Best Books of 1999 by the Los Angeles Times, The Pianist is now a major motion picture directed by Roman Polanski and starring Adrien Brody (Son of Sam). The Pianist won the Cannes Film Festival's most prestigious prize—the Palme d'Or. On September 23, 1939, Wladyslaw Szpilman played Chopin's Nocturne in C-sharp minor live on the radio as shells exploded outside—so loudly that he couldn't hear his piano. It was the last live music broadcast from Warsaw: That day, a German bomb hit the station, and Polish Radio went off the air. Though he lost his entire family, Szpilman survived in hiding. In the end, his life was saved by a German officer who heard him play the same Chopin Nocturne on a piano found among the rubble. Written immediately after the war and suppressed for decades, The Pianist is a stunning testament to human endurance and the redemptive power of fellow feeling.